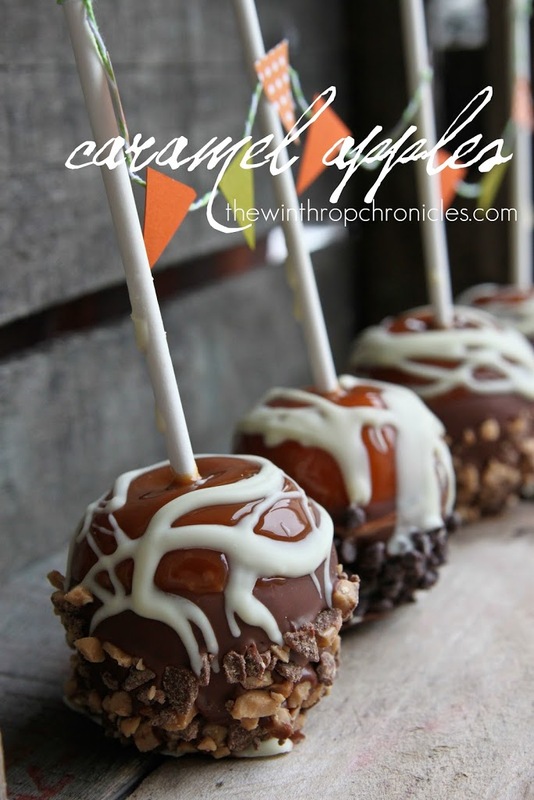 Oh I love making caramel apples this time of year! I found a bag of tiny gala apples and thought they would be the perfect size for little kids caramel apples. The other day the boys had some friends over and I dipped all the apples in caramel (the melted little carmel bites). Then set up a station with toppings. The kids could then decorate them how they wanted. I put the caramel apples in cupcake liners (that happened to be wax lined, and may have helped in getting the wrapper off the apple when they went to eat it, you could probably spray it with cooking spray if the cupcake liners aren't already lined with wax). Putting the apples right in the cupcake liner allowed us to decorate them right away, otherwise you are dealing with warm caramel dripping everywhere.